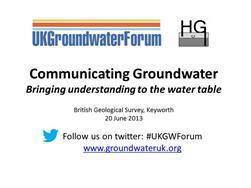 This is the latest e-newsletter from the UK Groundwater Forum. To find out more about the aims and activities of the Forum, please visit our web site at www.groundwateruk.org. 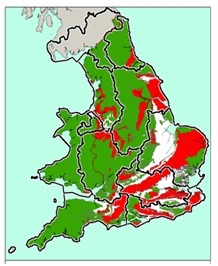 The UK Groundwater Forum’s 2013 conference was held jointly with the Hydrogeological Group of the Geological Society and tackled the issues around ‘Communicating Groundwater’. With the help of Sarah Mukherjee from Water UK, Richard Aylard from Thames Water, Pauline Smith from the Environment Agency and social scientist Rebecca Pearce, delegates from the water industry, regulators, science research, media and communication sectors grappled with the lessons learnt from the hydrological extremes of 2012. One key message coming from the morning session was the importance of the water community speaking to the public and decision-makers with one unified voice. In the afternoon we had our Groundwater communication kaleidoscope - a series of small workshop sessions to explore communication methods and case studies in more detail. These ranged from hands-on water tasting, through to media campaign strategies and groundwater visualisation. Other notable outcomes from the day were i) the need to get groundwater in the National Curriculum and better represented at schools, ii) the need for better resources and groundwater visuals and iii) promotion of the economic value of water. We would like to thank everyone who participated on the day and for all the ideas, comments and suggestions that were put forward. There are some clear priority actions for us to take forward and we hope, together with your help, we can deliver on these in the coming months – watch this space! All of the outputs from the workshop will be made available on the workshop web page including; speakers presentations; workshop summaries; delegate list and a summary report detailing the outcomes of the day and a strategy for future Forum activities. The need to get groundwater on the National Curriculum and better represented in schools was one of the key priority actions identified at the ‘Communicating Groundwater’ workshop. Well here is our opportunity to do this - the content of the National Curriculum for GCSEs is currently open to consultation. There are clear areas within the proposed GCSE programme for both Science and Geography where groundwater science plays a key part and could be more explicitly accounted for within the document. 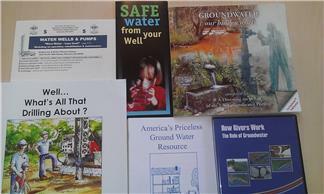 Push to include Groundwater in both the Science (Chemistry) and Geography curriculum. Aim to get groundwater included specifically in the water cycle, looking at how groundwater accumulates and its vulnerability to over-exploitation and contamination. Get the basics of groundwater in the geography curriculum - groundwater is found within the pore spaces, fractures and dissolution features within rocks, not in underground rivers. 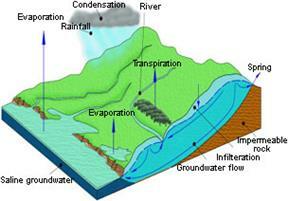 And, emphasise the reliance of the UK, in certain areas, on groundwater as a potable water supply. The Earth Science Teachers Association (ESTA) conference this year is on Communicating Geoscience and will be held at Plymouth University on 27 – 29th September 2013. The conference provides an opportunity to promote groundwater education and the educational resources that are available for teachers. At the same time we can hear first-hand from teachers about what works for them. Representatives from UK Groundwater Forum will be attending the conference to promote groundwater education and hopefully we’ll see one or two of you there too. The Environment Agency (EA) River Basin Management Plan ‘Challenges and choices’ is open for consultation until 22nd September 2013 . In 2009, the EA published river basin management plans covering all water environments in England and Wales. The EA is now working to review and update these plans and will publish revised plans in December 2015. The updated plans will describe what businesses, water users and organisations will need to do to protect and improve the water environment. This is our opportunity to get involved and help influence the outcomes for the groundwater environment. Calling all early career geoscientists…Get involved at the forefront of geosciences with The Geological Society and organise a Frontiers Meeting. Frontiers meeting are one-day conferences, aimed at industry and academia, with presentations and discussion focussed on an emerging geoscience subject. The venue and financial and administrative support will be provided by The Geological Society. For more information contact Georgina Worrall on georgina.worrall@geolsoc.org.uk or call 020 7434 9944.